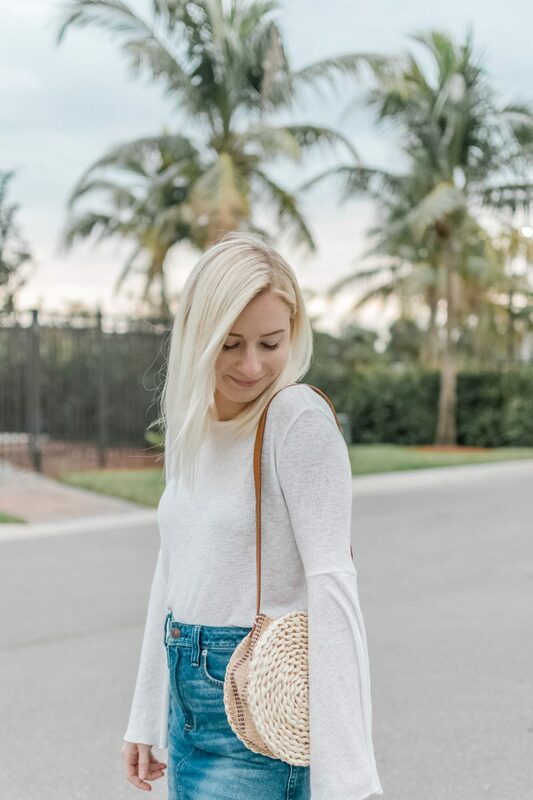 I have been obsessed with straw bags and absolutely love the way they look. 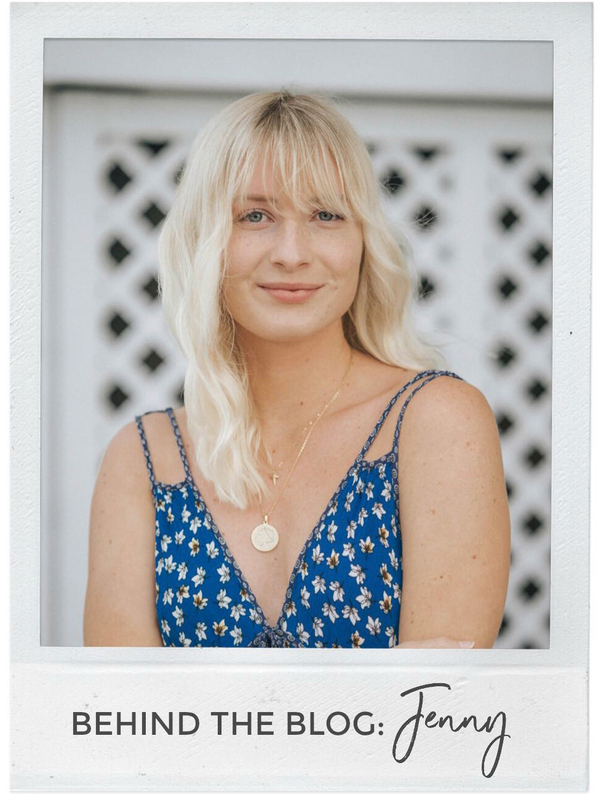 They are beachy, bohemian, and pretty much go with anything. They are the perfect bag! 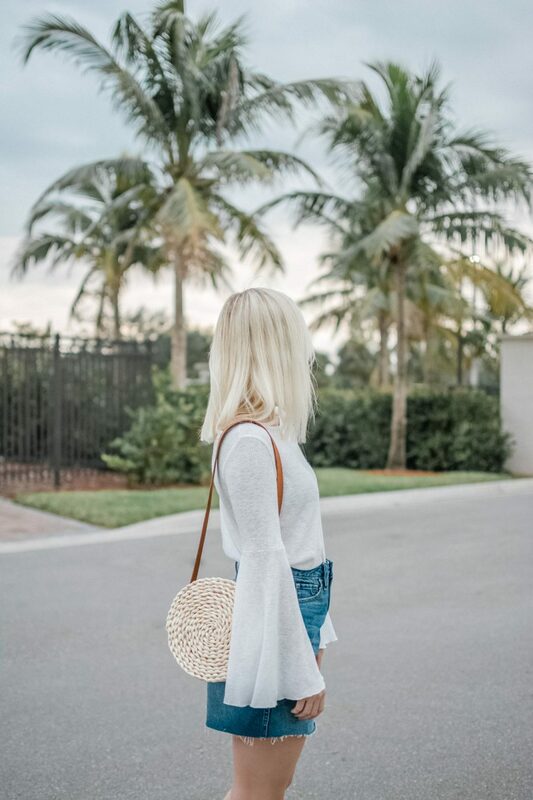 I love finding them at thrift stores for unbeatable prices but the problem with thrift stores is you never know what styles they will have or if they even will have the styles you want. Sure, you can buy them online or in retail stores but the prices are crazy! 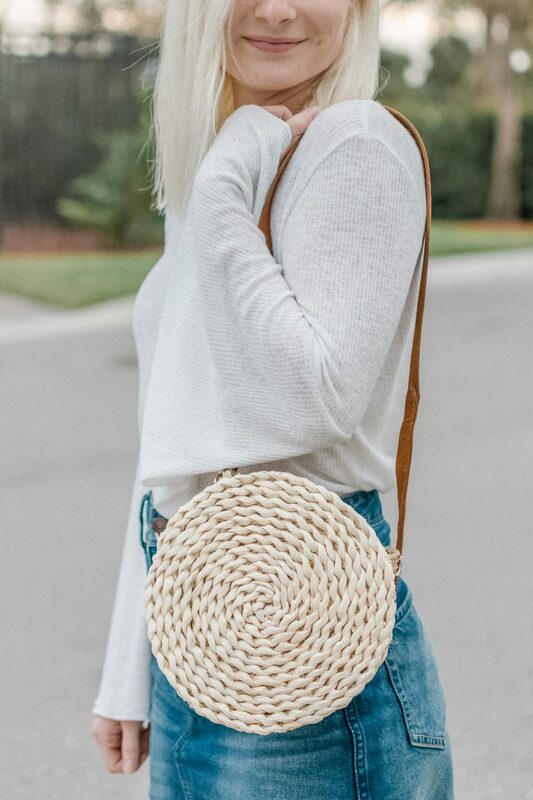 $80-$100 for a straw bag? Nonsense. 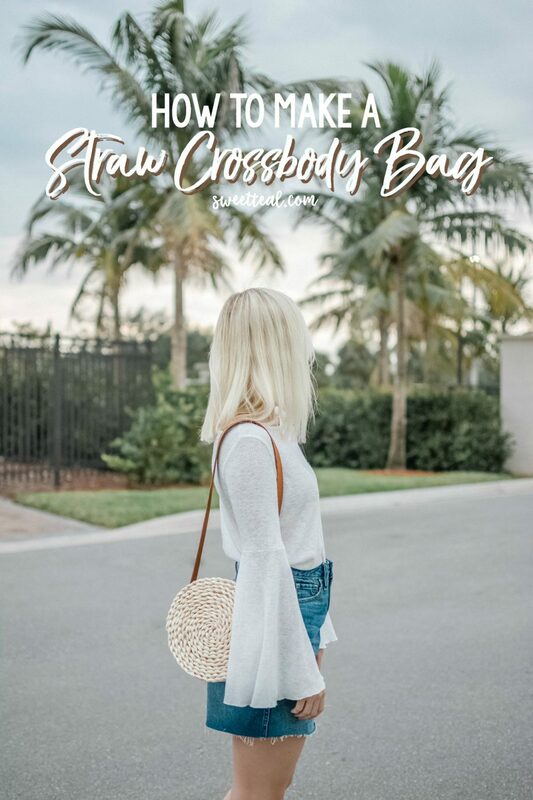 I really like the style of the straw crossbody bag and decided to make one of my own. If you don’t want to spend the money on an expensive item, my motto has always been to make it yourself. 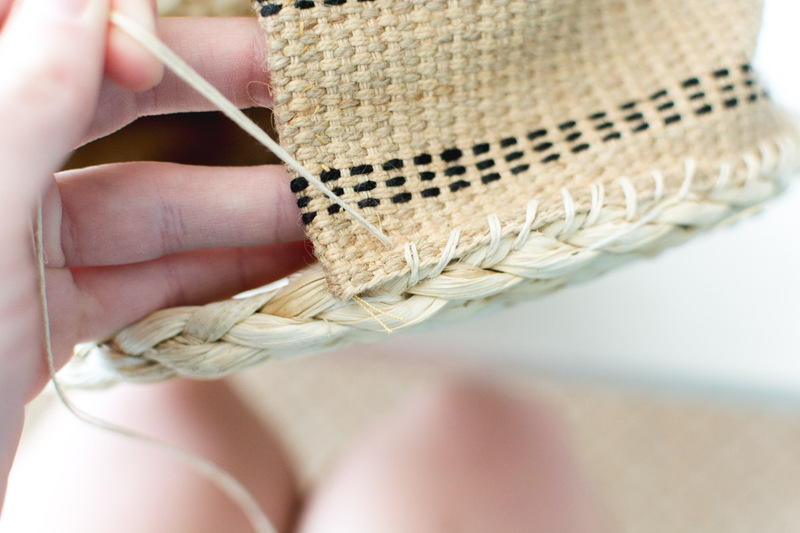 The same goes for straw or woven bags. 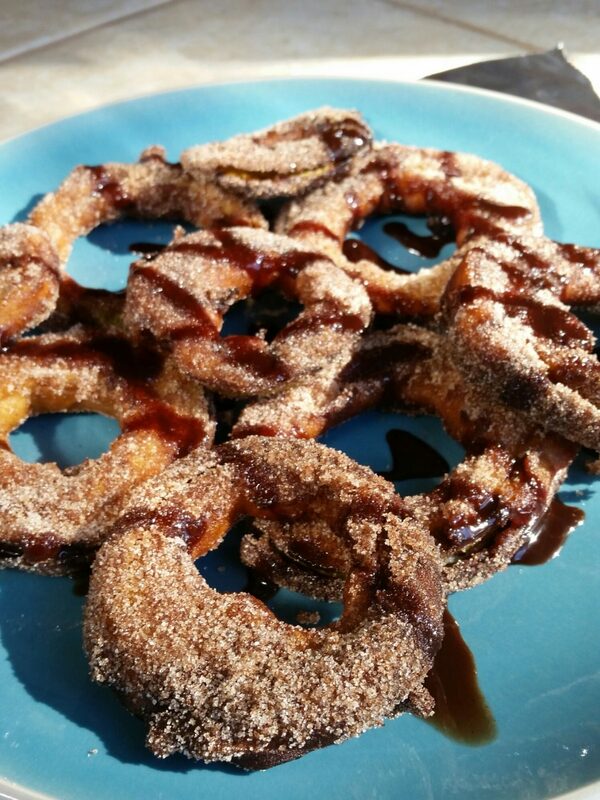 Warning: this bag is so easy to make you’ll probably be making them for all of your friends. Plus, it only costs under $10. 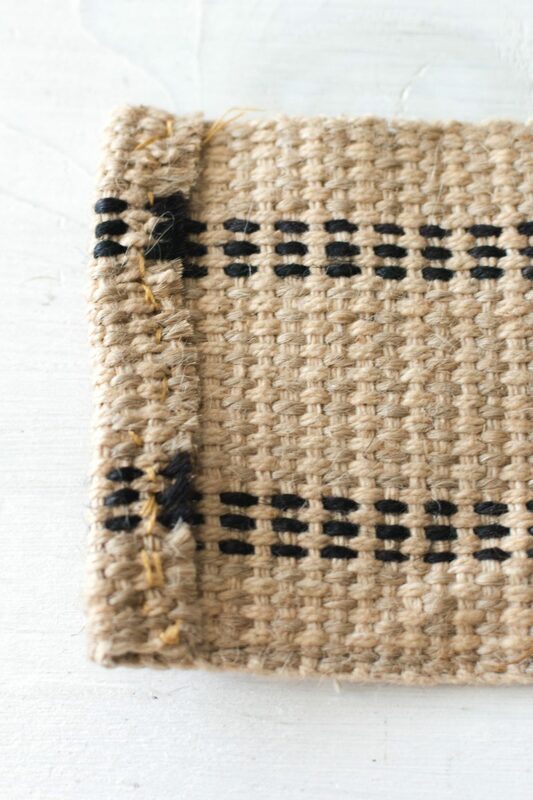 Cut the ribbon to the size of the placemats while leaving a hole open on top big enough to put items into the purse. Then fold the edges of the ribbon over about a centimeter or two and sew it down so that the edges don’t fray. 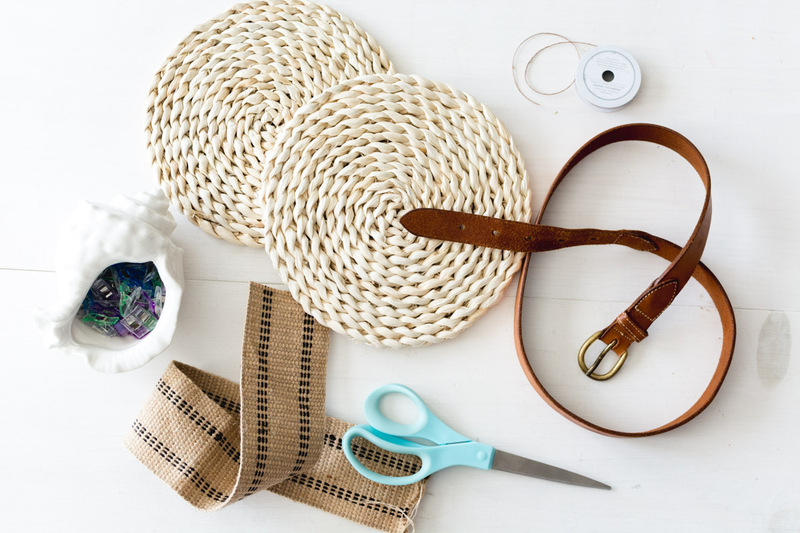 You can either use the sewing clips to clip the ribbon to the placemats or just start sewing the ribbon on without the clips. If your placemat is thin enough then the clips will work but my clips were too small and couldn’t clip the placemats so I just sewed them down while skipping the clips. 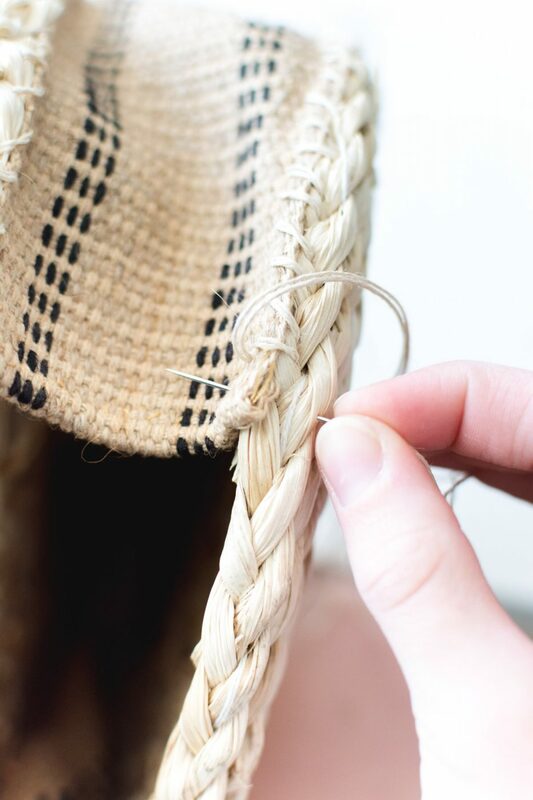 You want to use twine here instead of thread so that it is thicker and sturdier. Once you have one placemat sewn to the ribbon, you can sew the other placemat on. Now for the strap. I bought my belt from a Goodwill for about $2. You can either leave the buckle on or do what I did. I cut the buckle off into the shape of the other end of the belt (pictured above). 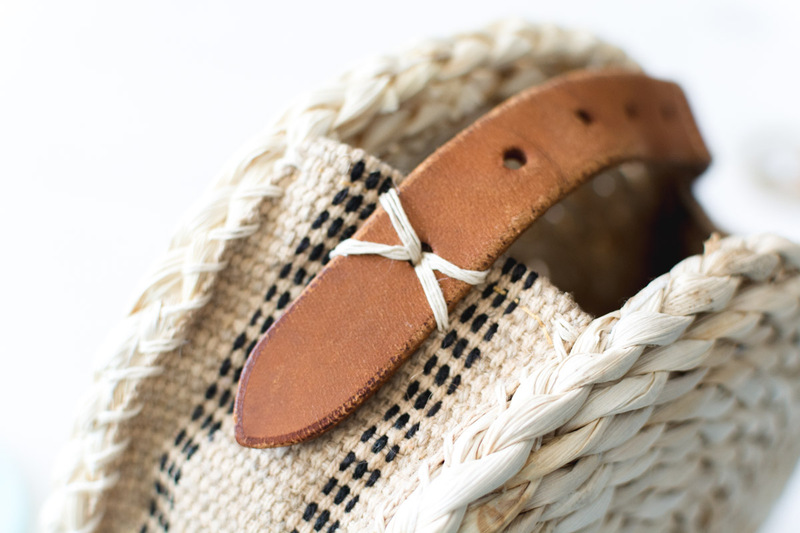 I then punched a hole the same size as the holes on the belt so that I could lace the twine into it to attach it to the straw bag. To fasten the belt to the bag, I started on the top right and laced the twine through the hole of the belt then to the bottom left then through the hole again, to the top left, through the hole, to the bottom right and repeated it all twice. I personally like the appearance of the “X” but you can fasten it anyway you want, as long as it is secure. I will definitely be making more straw purses in all shapes and sizes! I’m obsessed with them. 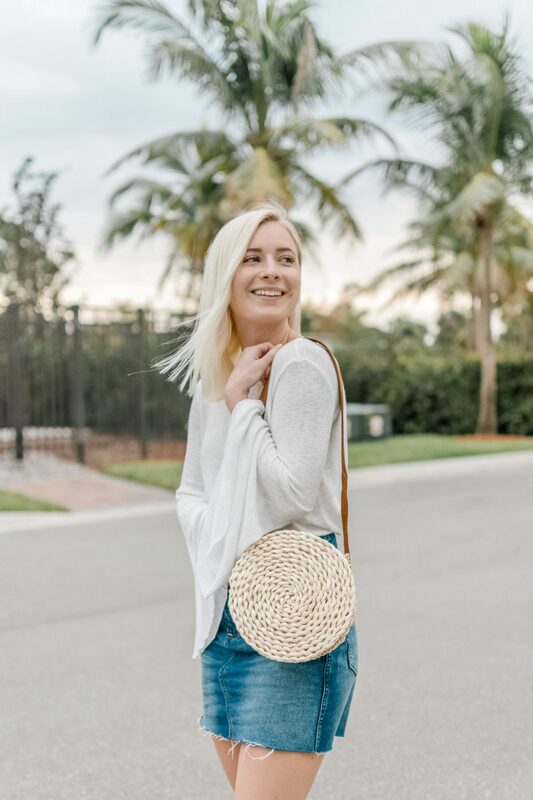 This crossbody straw bag is just the beginning. Tell me in the comments if you would make this bag!